In the publication of this article , there was an error in the Methods, Cell cultures and reagents section: the Methods, Cell cultures and reagents section: ‘The following primary antibodies were used: P62(#8025), phospho-H2AX(γ-H2AX;#9718), caspase-8(#9746), RIP1(#3493s), Beclin1(3738s), ATG7 (#2631S), PARP (#9546S), caspase-3(#9665s), cIAP1 (#7065s), cIAP2(3130s), XIAP(#14334), FADD(#2782S), phospho-NF-κBp105/p50(4806S), NF-κB2p100/p52(#4882S) and TNFR1(#3736S) were purchased from Cell Signaling Technology Inc.; GAPDH (#sc-47724) from Santa Cruz Biotechnology (SC); LC3 (#NB100–2220) from Novus Biologicals’. Should instead read: ‘The following primary antibodies: P62 (#8025), phospho-H2AX (γ-H2AX;#9718), caspase-8 (#9746), RIP1 (#3493s), Beclin1 (3738s), ATG7 (#2631S), PARP (#9546S), caspase-3 (#9665s), cIAP1 (#7065), cIAP2 (3130s), XIAP (#14334), FADD (#2782S), NF-κBp105/p50 (4806S), NF-κB2p100/p52 (#4882S), TNF-α (#6945s), TNF-α neutralizing antibody (7321s), and TNFR1 (#3736S) were purchased from Cell Signaling Technology Inc.; GAPDH (#sc-47724) was from Santa Cruz Biotechnology (SC); LC3 (#NB100–2220) was from Novus Biologicals. Z-VAD-FMK (#V116) and Necrostatin-1(#N9037) were from Sigma. IKK-16(#S2882) from Selleck’. In the Results, APG-1387 is RIP1-dependent in ovarian cancer induced apoptosis section there was an error: ‘We examined the protein levels of caspase-8/RIP1 by western blot, as shown in Fig. 4a’. Should instead read: ‘We examined the protein levels of caspase-8/RIP1 by western blot. APG-1387 triggered the activation of caspase-8 and downregulated the protein level of RIP1, as shown in Fig. 4a’. In the Results, APG-1387 induces apoptotic cell death through engagement of TNFR1 by TNF-alpha signaling pathway section there was an error: ‘We have investigated the expression of NF-κB1/p50 and NF-κB2/p52 by western blot after cells were incubated with various concentrations of APG-1387’. Should instead read: ‘These results demonstrate that TNFα signaling is required for APG-1387-induced apoptotic cell death. Next, we have investigated the expression of NF-κB1/p50 and NF-κB2/p52 by western blot after cells were incubated with various concentrations of APG-1387’. Should instead read: ‘Inhibition of autophagy sensitizes ovarian cancer cells to A PG-1387-induced apoptosis’. In the Discussion section there was an error: ‘APG-1387 is a novel Smac mimetic. In our study, we investigated the molecular mechanisms underlying the inhibitory effect on the growth of ovarian cancer cell lines treated with varying concentrations of APG-1387’. Should instead read: ‘Restoring the apoptotic cell death machinery by pharmacological inhibition of IAPs proteins represents a compelling strategy for cancer therapy. APG-1387 is a novel Smac mimetic developed by Ascentage and currently being evaluated in phase I clinical trial. In our study, we investigated the in vitro and in vivo antitumor activity of APG-1387 in ovarian cancer’. In the Discussion section there was an error: ‘Our results suggest that APG-1387 induces autophagy during apoptosis. Autophagy plays a role in protecting cell survival. We have also found that it was effective as a single agent in vivo models. Treatment with APG-1387 induced potent cytotoxic and anti-proliferative activity against established and human ovarian cancer cells’. 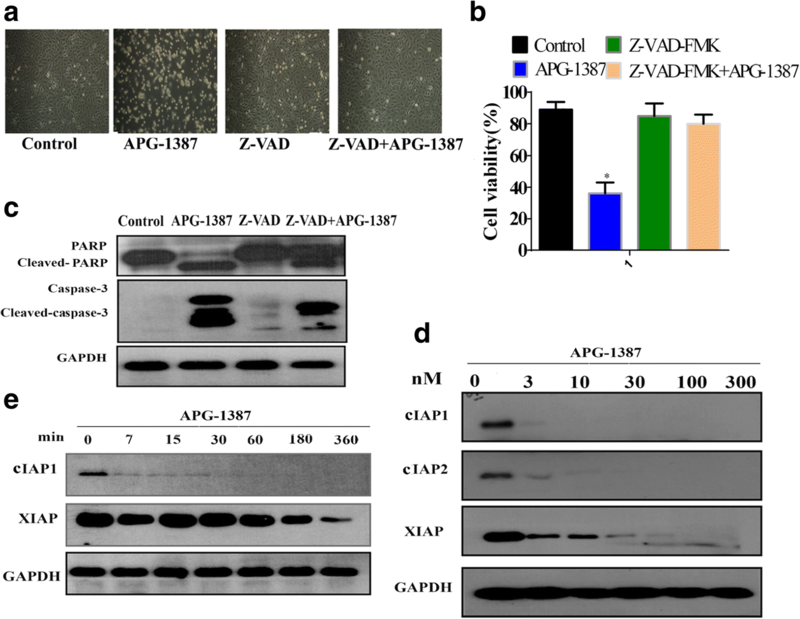 Should instead read: ‘Our results suggest that APG-1387 induces autophagy while triggering apoptosis. 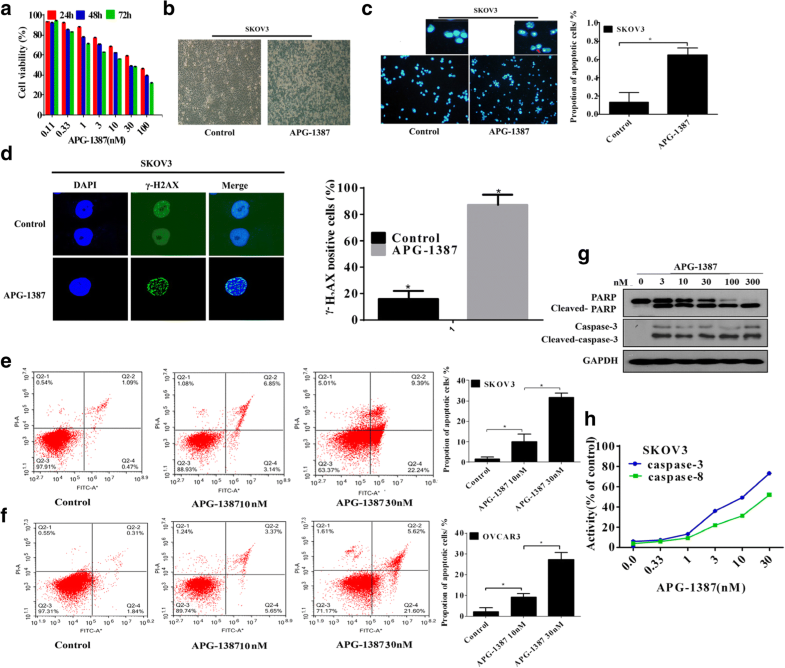 APG-1387-induced autophagy plays a role in protecting cell survival and inhibition of autophagy potentiates cytotoxicity of APG-1387 in ovarian cancer cells’. 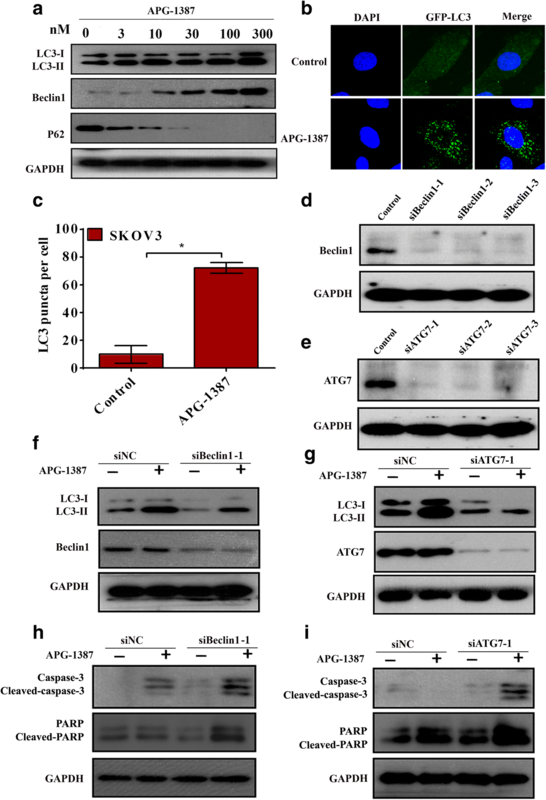 Figure 7 caption had an an error: ‘APG-1387-induced autophagy promote cell death in SKOV3 cells’. Should instead read: ‘Fig. 7 APG-1387-induced autophagy promotes cell survival in SKOV3 cells’. In the Funding section there was an error due to the fact some additional funds were missing. Bao-Xia Li, Heng-Bang Wang and Miao-Zhen Qiu contributed equally to this work.